A new method of brewing a cancer vaccine inside a patient’s tumor could harness the power of the immune system to destroy the disease, researchers report. GPs should suspect laryngeal cancer and consider urgent referral in patients who present with a persistent sore throat and hoarseness, according to a new study. A recurrent sore throat in combination with symptoms such as hoarseness, difficulty swallowing or ear pain increases the likelihood that a patient has laryngeal cancer and may warrant urgent referral, the authors said. The study, published in the British Journal of General Practice, was carried out by researchers at the University of Exeter and looked at primary care data for just over 800 patients diagnosed with laryngeal cancer, as well as just over 3,500 controls. The researchers found hoarseness carried the greatest individual risk, with those presenting with the symptom having a 2.7% likelihood of having laryngeal cancer – just under the NICE (National Institue for Health & Care Excellene) threshold of 3% for urgent referral. Patients presenting with a recurrent sore throat in combination with hoarseness had a 12% likelihood of having laryngeal cancer. The likelihood of cancer was also increased above the NICE threshold when recurrent sore throat presented with dysphagia, recurrent dyspnoea, ear pain and raised inflammatory markers, the researchers said. They found that, ‘unexpectedly’, neck lumps were not associated with laryngeal cancer. The authors said the findings back up the NICE recommendation to consider referring patients with persistent unexplained hoarseness, but that GPs should also be vigilant about symptoms not currently listed in the NICE guidance. The paper said: ‘This evidence supports some of the recommendations in current NICE guidance, particularly relating to hoarseness.It refutes the recommendation for neck lumps, though the clinician must still consider lymphoma. ‘It adds some new symptom combinations: sore throat supplemented by otalgia, dyspnoea, or dysphagia. 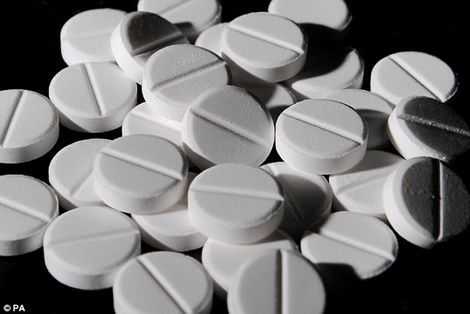 In recent research, the common painkillers were found to treble the chance of survival (from 25% to 78%) for patients with a specific kind of cancer which contains an altered gene, known as PIK3CA. Around a third of head and neck cancers carry this mutation and it’s also found in other types of cancer. 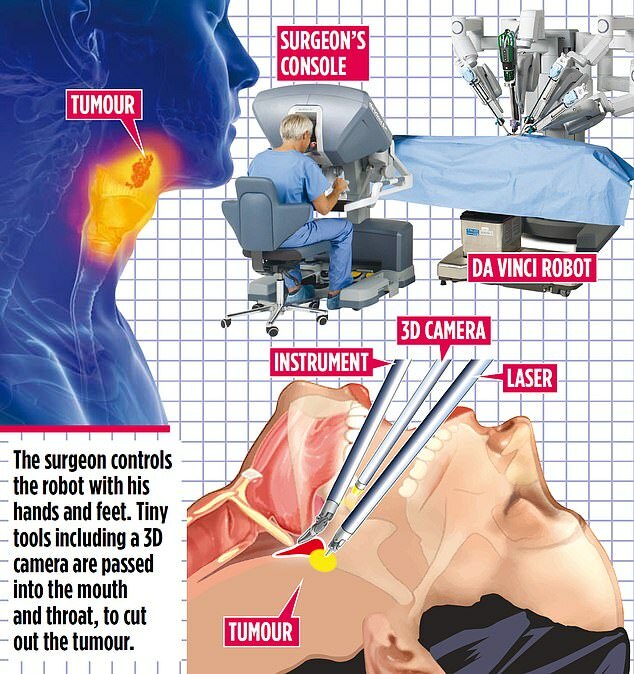 Head and neck cancer is newly ­diagnosed in more than 12,000 people in the UK each year, and in 65,000 in the US. It kills just over 4,000 people here and 14,000 in America. There are more than 30 areas in the head and neck where cancer can develop, such as the mouth and throat. All the patients had the mutated gene. NSAIDs, however, had no effect on tumours without PIK3CA mutation. The study included 266 patients from the University of Pittsburgh Medical Center whose tumours were surgically removed. Altogether, 75 tumours (28%) in the study had a change in the PIK3CA gene. Among the patients who regularly used NSAIDs, 93% used aspirin at some point, and 73% only took aspirin. First, we need much larger trials as proof that what is only a theory actually works.